When you start venturing into the world of fountain pens, you don’t have to stroll too far to run into all kinds of Pilot-Namiki pens. From the disposable Varsity to the very affordable MR (Metropolitan) all the way up to high-end Maki-e works of art, there’s a Pilot-Namiki pen for every taste and budget. 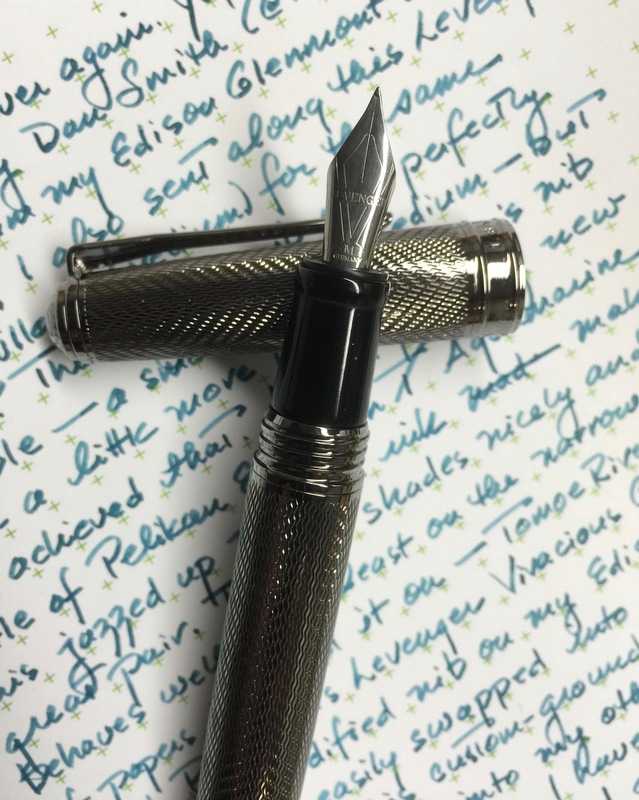 I own several Vanishing Points, a couple of Preras, a handful of Metropolitans, and a Custom 74 and have yet to be disappointed by any of them, no matter the price. Pilot-Namiki is a brand that I trust implicitly. 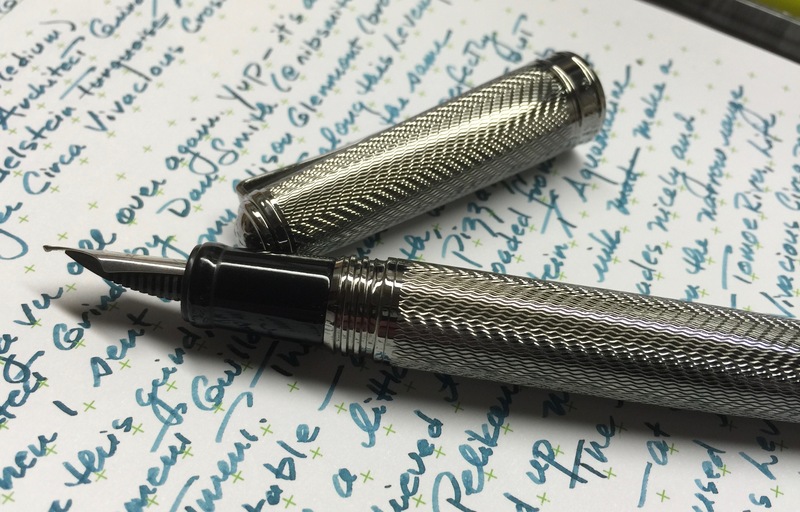 A week or so ago, an email arrived from Anderson Pens featuring an intriguing photo and a link to some Namiki mechanical pencils. Namiki what?? Pencils?? Yes, pencils. I clicked the link, and tumbled down THAT rabbit hole headfirst. Isn’t that how it goes? One minute you don’t even know a thing exists, then the next minute you HAVE TO have it. Especially if it’s gorgeous. And New Old Stock. And Namiki. And sold by the Andersons. 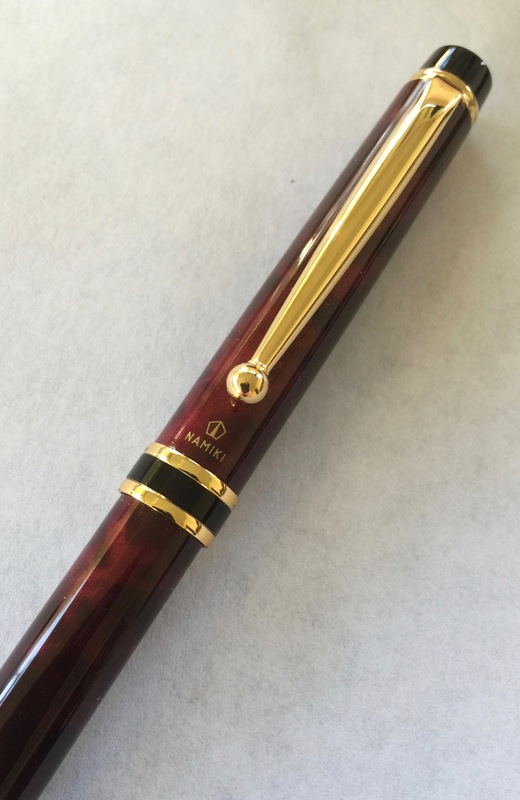 The Namiki Grance mechanical pencil (0.5 mm) features burgundy marbled lacquer over brass, so it’s nicely hefty (28 g), despite its slender body (9.4 mm, 0.4 in).The lead is advanced by pressing down on the upper half of the pencil. The action works smoothly and easily. The Andersons describe the Sapphire Impressions (27 g) as having “gorgeous colors set in clear cellulose resin,” and they’ve hit the proverbial nail on the head. 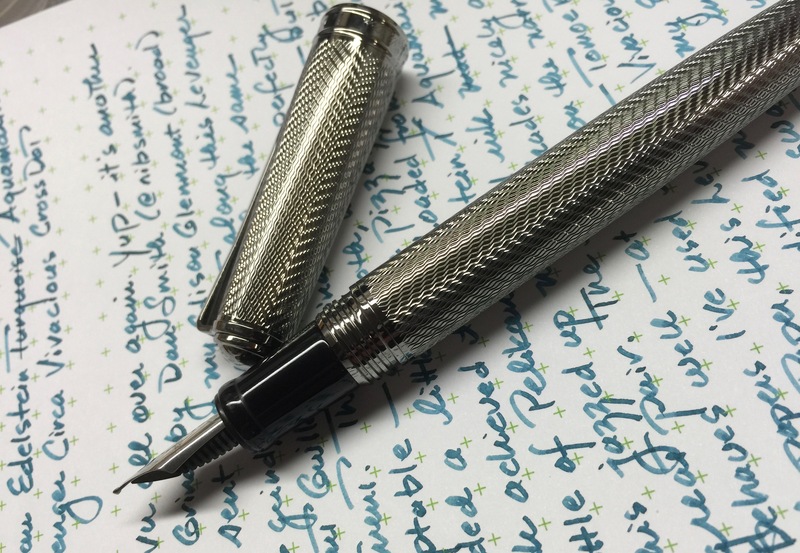 This thing is a stunner, which is something we’re used to in the fountain pen world, but not so much in mechanical pencil offerings. I fell hard for the depth of color in the resin. I’d never really seen mechanical pencils that excited me as much as some of my fountain pens. Maybe I don’t get out enough—maybe these are all over the place—but they’re certainly new to me. I have enough wood cased pencils to choke a small horse (as my mother would say), and plenty of mechanical pencils that are perfectly fine, but none of that was going to stop me from picking up both a Namiki Grance ($25) and Impressions ($85). These look and feel like heirloom quality pencils, and came with price tags that seemed more than fair. 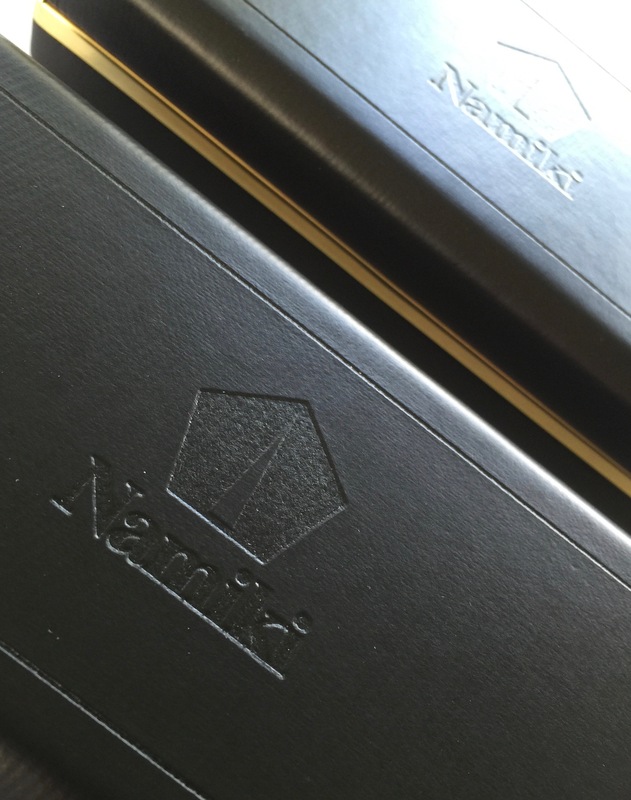 Branding is wonderfully subtle which is very much the Namiki way. Tucked under the “cap” of each pencil is a tiny but usable eraser, still in fine shape despite the fact that the pencils are circa 2000. When the current leads are used up, I may swap in something just a touch softer—maybe a 2B or 3B. Or maybe I’ll leave a harder lead in one and a softer one in the other. 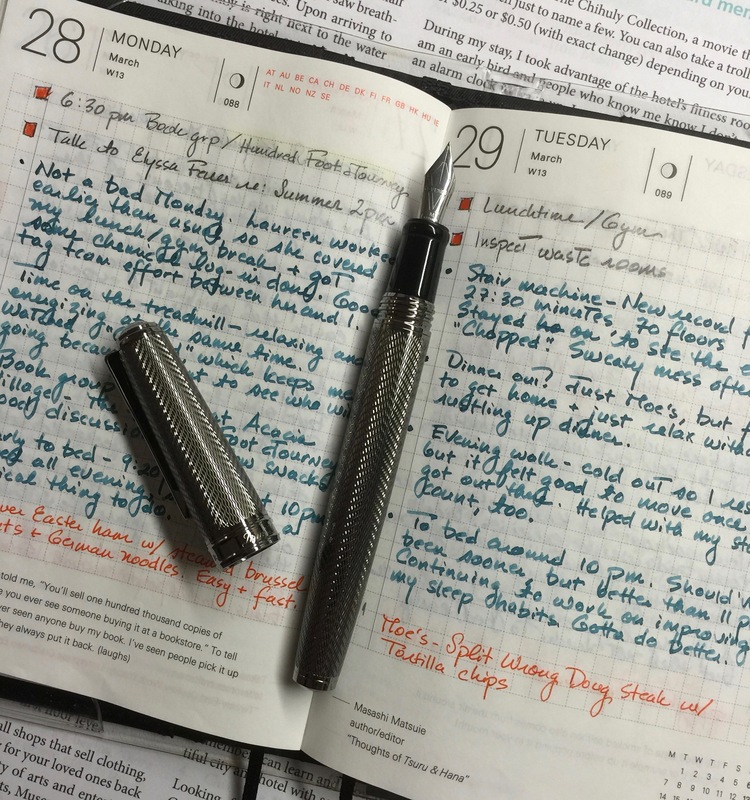 The 0.5 mm line is crisp and fine—perfect for use in my Hobonichi or just for jotting down notes. This size lead is a little more prone to breakage, but I still prefer it over the thicker 0.7 mm option, at least in these pencils. I’m still trying to rein in purchases, and am, for the most part succeeding. 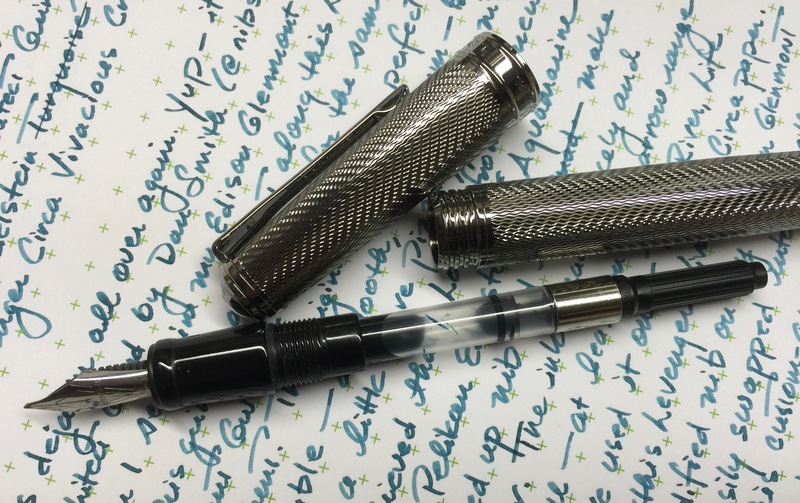 (I even gave up my place in the waitlist for a Franklin-Christoph Pocket 66 in Antique Glass as I just don’t need—well, want— another pen right now.) BUT, I caved on these mechanical pencils. Namiki’s stellar reputation for quality writing instruments coupled with my trust in the Andersons, and the fact that these New Old Stock beauties aren’t readily available made this purchase an easy one to talk myself into. Yes, pencils. Now you know. At the time of this review, Anderson Pens has some Namiki Impressions in stock in Amber (0.5 and 0.7 mm) and Sapphire (0.5 mm) finishes. The Grance pencils appear to be sold out. 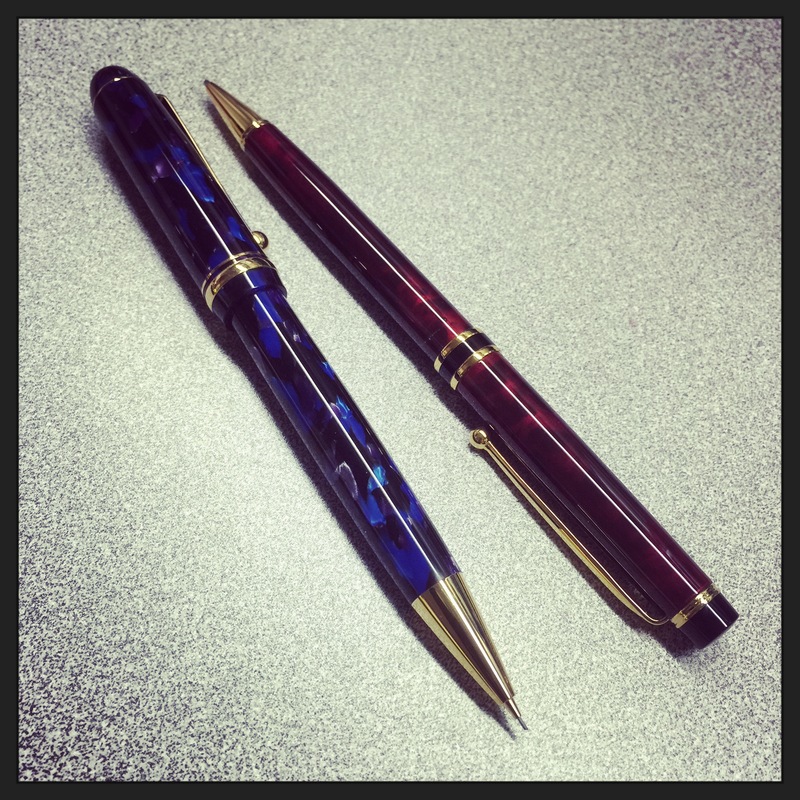 Both Namiki mechanical pencils reviewed here were purchased with my own funds. There are no affiliate links in this review.